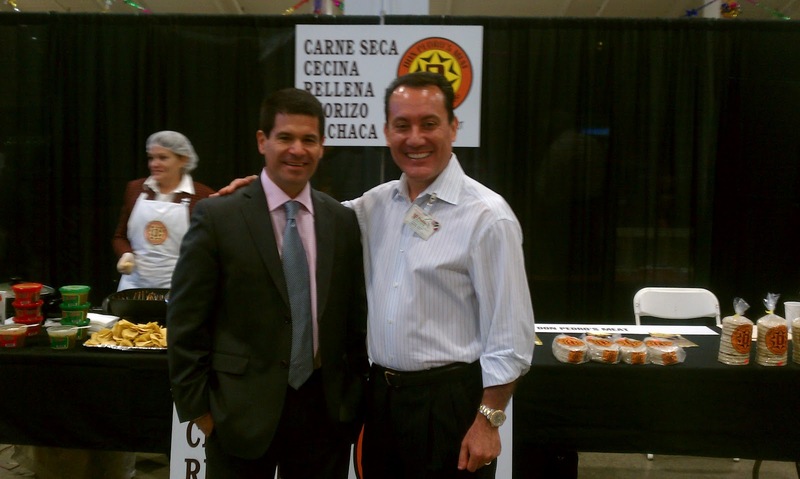 Juvenal Chavez, CEO of Mi Pueblo Food Center chats with Andres Jaramillo, CEO of Don Pedro's Meat. The story of Juvenal Chavez is one of those inspiring stories of immigrants working hard and following a dream to make it big in the U.S. He immigrated to the U.S. with his wife in the 80's, from Mexico and by 1991 he had opened his own small business. 21 years later, his business, Mi Pueblo Food Center is a growing chain with 21 stores, and over 3,000 happy and enthusiastic employees. Even though he didn't tell us the exact number, he does hundreds of millions of dollars in business, selling the most authentic hispanic products to a very grateful and loyal clientele. His competitive advantage is the feeling of home and the experience of joy and community he gives his customers when they buy food at his stores. He conveys that through his employees. We got a chance to meet hundreds of them last week, and I was struck by how happy, smiling and beautiful most of them are. They are proud to belong to such a company, and are very enthusiastic and knowledgeable about their products and their vendors. Juvenal really knows his products, and he told us how much he loves our cecina seca, which he started buying from us and selling to his customers over 10 years ago. For him it is a staple at his meat counters, that shows his commitment to very authentic products of high quality. At Mi Pueblo stores you can also buy Salvadorean Chorizo Don Pedro's, and at their "cremerias" they sell Rellena Don Pedro's. 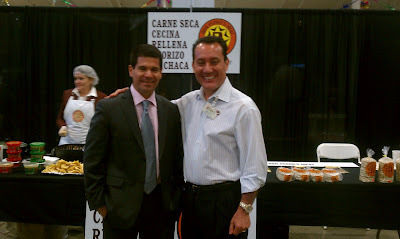 He is a big supporter of education, an inspiring business leader and a great community leader in San Jose, CA. We love doing business with Juvenal and his team of winners.